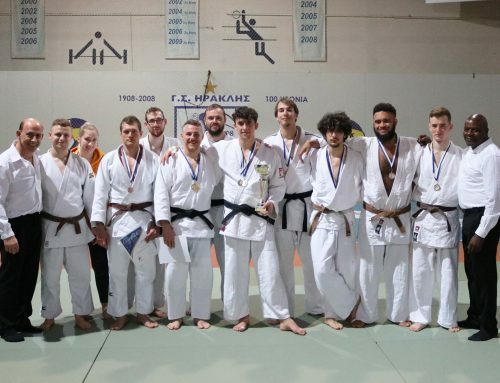 Team JFAUK travelled to Thessaloniki, Greece to take part in the 2017 Miyazaki International Cup, coming away with 2 Gold, 3 Silver and 1 Bronze. Starting the day was Jason Baird who was fighting in -79kg veterans. Jason had a tough start, coming up against a Bulgarian judoka who took him over with tomoe nage for ippon. However, Jason was far from deflated and managed to storm through the rest of his pool to bring back the silver medal. Next up was -79kg judoka Sam Sampson who started his contest with a clean de ashi barai. Following this was a repeat of the final of the 2016 WJF European Championships where Sam met the Bulgarian judoka. However, there was no success for Sam this time as the Bulgarian won the contest with a wazari. He then went on to win the rest of his contests to take home a silver. Alexis Bardini of the -71kg’s stepped on the tatami next, sweeping through his category before facing a Greek judoka in the final. Unfortunately the Greek judoka got the better of Alexis, leaving Alexis with the silver medal. Sam Charalambous of the -75kg category was up next. 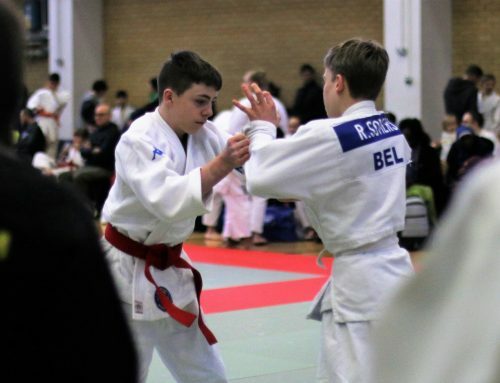 Sam completely dominated all of his contests, and despite a minor scare in the final, Sam came through with a huge Ippon Seoi Nage to take the gold. -100kg Judoka Ross Elliot was the last judoka of the day. Ross started off with a hard contest against a Greek judoka whereby the two were at war. Ross came through and secured the win with a Wazari and hold down. Following this, Ross won the rest of his contests to take home a gold. Finally, an open category was held, with Ross Elliot managing to take home a bronze medal. 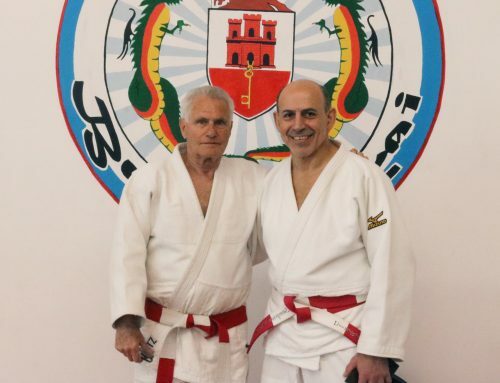 A special congratulations goes to Sam Charalambous, who, despite being -75kg, threw a 115kg Dan grade with an enormous uchi mata! Overall, a strong performance from JFAUK at a very tough tournament. Well done to all, pictures to follow. 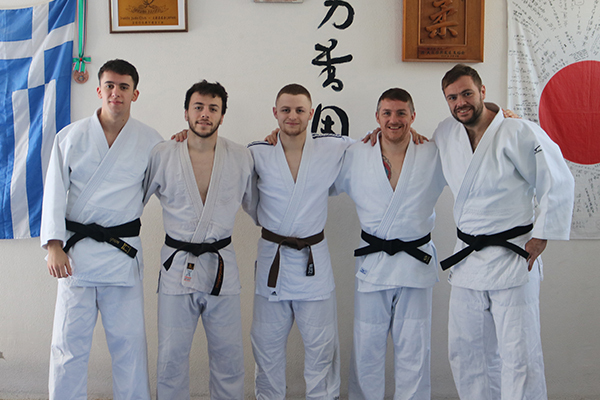 As well as the tournament, a training camp also took place, led by JFAUK President Sampson Sampson followed by a dan grade examination for the JFAGR members. Well done to all, you can view the pictures by clicking here.